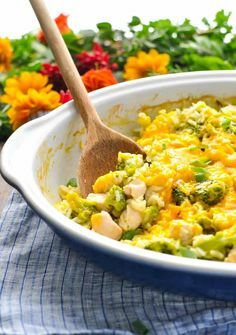 With just 5 ingredients and about 5 minutes of prep, this Dump-and-Bake Chicken Broccoli Rice Casserole is an easy dinner that cooks in one dish! There’s no need to pre-cook the rice, pre-cook the chicken, or pre-cook the veggies, making the cozy, family-friendly meal a simple option for busy nights! A delicious, easy, healthy and comforting casserole made with chicken, broccoli and rice. Preheat oven to 375F (190C). Spray a 9 x 13-inch baking dish with cooking spray. Add cream of chicken soup and water to the prepared dish. Whisk together until completely combined. Stir in uncooked rice, uncooked chicken, and frozen broccoli. Season with about ½ teaspoon salt and ¼ teaspoon pepper. Stir again. Cover tightly with foil and bake for 1 hour, or until the liquid is absorbed, the rice is tender, and the chicken is cooked through. 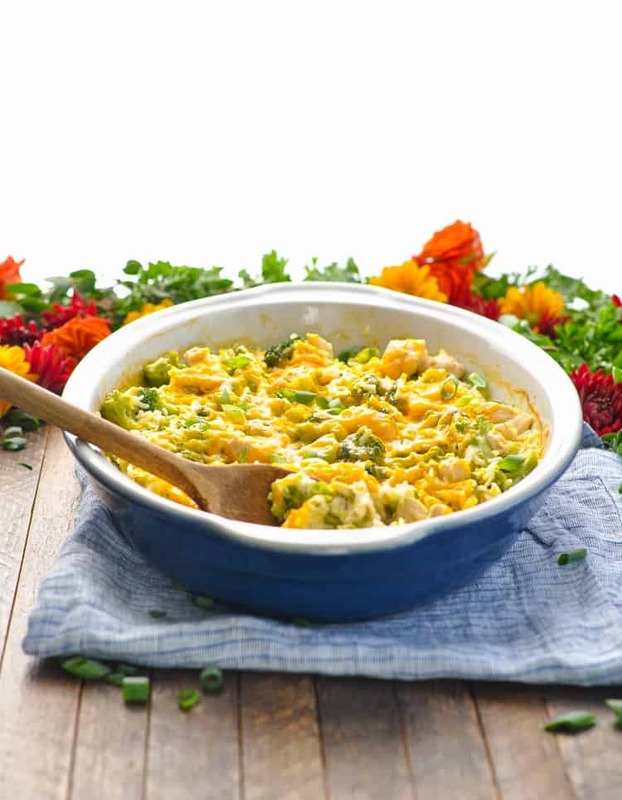 If desired, sprinkle the top of the casserole with grated cheese and return to the oven for a few more minutes, just until the cheese is melted. *Rachel's original recipe did not include the cheese. I just think it's a nice addition on the top, so add as much (or as little) cheese as you like -- it's certainly not necessary! 0 Response to "DUMP-AND-BAKE CHICKEN BROCCOLI RICE CASSEROLE"